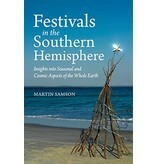 Martin Samson Many of the Christian festivals traditionally draw on imagery and symbolism from the northern hemisphere seasons. Christmas is often described as a light in the darkness of winter, and Easter reflects the new life emerging in spring. Rudolf Steiner also offered various descriptions of the relation of the festivals to seasons. This has led some to suggest that Christian festivals in the southern hemisphere should be celebrated at opposite times of the year: for example, celebrating Christmas in June, or Easter in September. Is that really what Steiner was suggesting? This insightful book thoroughly reviews all of Steiner's words on the subject, as well as writings of other anthroposophic thinkers. 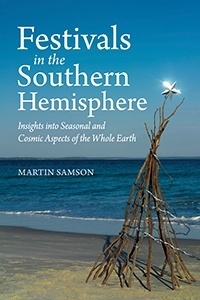 Steiner shared cosmic, spiritual imaginations for the northern hemisphere, and in this book Martin Samson develops a useful equivalent guide for the southern hemisphere, as well as closely studying the liturgy of The Christian Community and its seasonal prayers. From his research, he concludes that the essence of Christian festivals works at the same time for the whole earth, but take on subtly different nuances through the opposite seasons.